Our Site has been designed as an easy to use resource where you can find information about computers and eventually manage your own computer using our custom built software. Like to know what we are working on? This is the place to go. Our Wiki is there to provide you with help or information pertaining to our products. 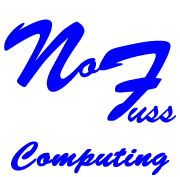 want us to help with your computing issue? Then log a help ticket.